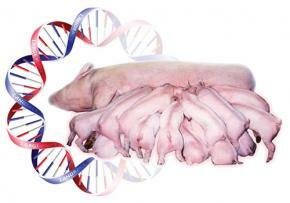 • Carcass and meat quality performance from nucleus animals. • Commercial performance. Information is entered into PICTraq® 24 hours per day from nucleus and multiplier farms on every continent. PICTraq links all ancestors to account for performance and pedigree information, as well as the global movement of genetics. 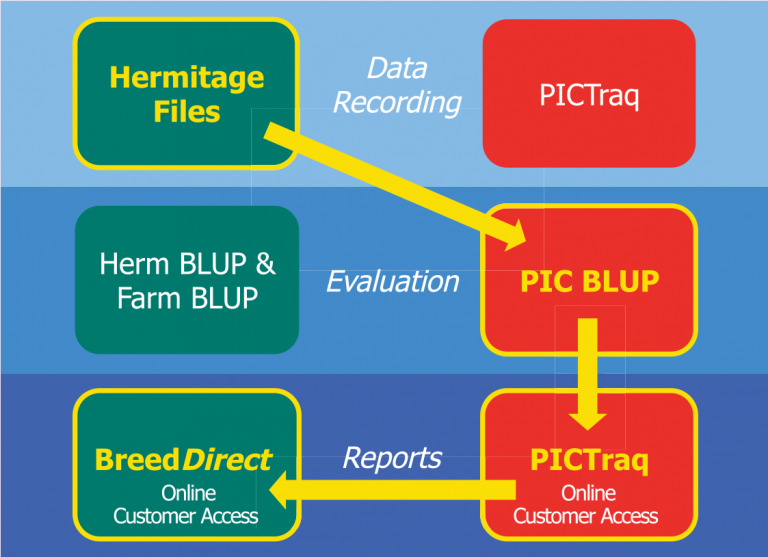 Using BLUP (Best Linear Unbiased Prediction), PICTraq® calculates and ranks an animal's estimated breeding value or EBV using both individual and family performance information stored in PICTraq®.The EBV is the basis for genetic improvement and describes the value of an animal's genes to its progeny. EBV rankings with pedigree information help to identify the matings responsible for the next generation of animals. We combine all EBV information with economic information to create PIC selection indexes that are the basis of our global improvement.